Intro: Young Thomas has just moved into his new house; his parents snapping up the deal for the property without realising its dark past. Thomas finds a cassette player with a tape left inside along with a much needed flashlight. As darkness falls, he soon realises he is not alone within the room. Review: Are you a fan of horror games like Sisters or Five Nights at Freddy’s? 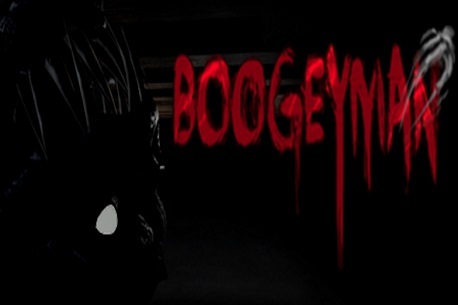 If you are I have good news for you, because Boogeyman is just like those classic simple / jump scare games, only played at a much faster pace. The story goes that you are a child and the Boogeyman is after you. Luckily he doesn’t like direct light and you have a torch that you can use to fend him off. At any one time, you need to keep an eye on the five ways that he can get into the bedroom. He can come trough the door, closet, window, air vent and even the sides of the bed. You need to listen out and watch all the access points that are in the room but it is not easy as they are scattered around the room meaning you have to keep flicking your head around and catch him before he can sneak up on you. Verdict: With its pretty awesome monster, well-timed scares and high levels of unpredictableness you just never know when you will jump in this game, but you will jump…oh yes! Not much is different from the Oculus rift version of this game, but at less than half-price, it is even more of a good bargain and well worth the money.